Worldwide, the burden of disease caused by malaria is monumental, amounting to 300-500 million cases each year (WHO). 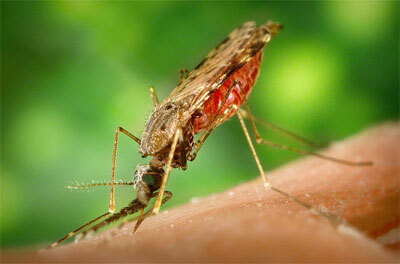 Malaria accounts for about 1 million deaths per year in Africa. It is estimated that one child dies every second as a result of malaria in this region. A recent WHO/UNICEF/World Bank report described malaria as "a brake in development", as its economic burden on Africa is estimated to be about U.S $12 billion every year. In TANZANIA, the situation analysis conducted in 2006 found that malaria is responsible for 40% of all under-five deaths. It also accounts for a considerable percentage of low birth weight babies. The study also shows that the high level of malaria infections in rural communities correlates well with the very low level of environmental sanitation. While malaria is a highly preventable and treatable disease, many children continue to lose their lives endlessly to malaria in rural areas where Foundation for Social Economic Services is working. The children most at risk are those who live in isolated remote rural villages because they are shut out or excluded from accessing essential healthcare services. Their communities suffer from chronic neglect by the government as they lack health facilities, essential medicines, and health personnel. For example, despite their urgent need for health services, parents must travel with their children an average of 2 to 5 hours to reach the nearest health facility with trained medical personnel. This exclusion is in part as a result of macro factors most especially chronic poverty and ignorance, their invisibility and lack of political voice. For most children in these communities, malaria is the most important single cause of frequent school absenteeism, anemia, poor growth and delay in achieving developmental milestones. Their constant battle with malaria is that of survival or death. The Foundation for Social Economic Services estimates that about 70 percent of outpatient visits for children under five years of age and 50 percent of hospital admissions are due to malaria in areas where it works. Yet, village health posts frequently run out of stocks for essential medical supplies such as antimalarial medicines, while the few available village health assistants lack clinical competence to appropriately diagnose or treat malaria. Climate change, resulting in global warming is gradually creating more favorable environmental conditions for malaria vector breeding sites, parasite multiplication and its transmission. Simply sleeping under insecticide treated bednets reduces malaria mortality by as much as 20-50 percent, (UNICEF). However, utilization survey conducted by the Foundation for Social Economic Services reveal that less than one percent of children in rural areas sleep under insecticide treated bed nets. The average cost of an insecticide treated bednet is about $5, but due to the high level of poverty, families residing in these communities cannot afford these nets, leaving their children vulnerable to frequent malaria attacks. • Conduct 10 sensitization meetings about project with community leaders and other key stakeholders in the villages. • Conduct community-wide health promotion campiagns on environmental sanitation and malaria prevention in all 10 target villages. 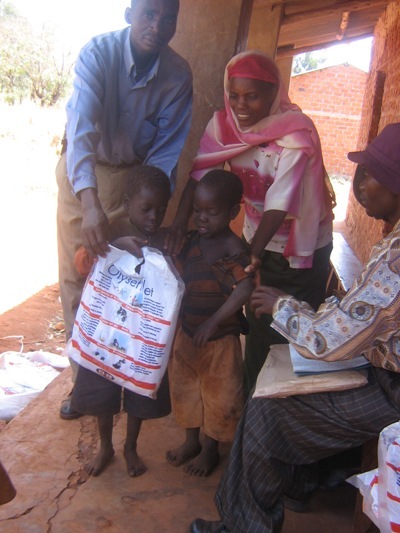 • Distribute 5,000 insecticide treated bednets to families with under-5 children in target communities. The primary target of this project are 5,000 under-5 children residing in 10 remote rural communities(villages) . The beneficiaries, however, are the entire families and their communities. Ultimately, the project is expected to reach at least an additional 10,000 children and their families who live in high risk hyperendemic malaria areas and constantly face life-threatening episodes of malaria attack through its educational activities. The Foundation for Social Economic Services aims to respond to health emergency crises facing rural communities by addressing the right to health violations, and lack of access to essential social services that people continue to face in rural communities. The Foundation has a committed, capable, well motivated and creative team of public health professionals and community organizers that bring diverse skills and expertise. As a result of its sustained engagement and collaborative partnerships with local communities, the Foundation has developed core competences in the design and implementation of community-based primary health care services and provided a community health education and promotion activities on malaria prevention to approximately 5,000 people in different villages.